Each procurement department has its own specific challenges. Our eProcurement Software, which is available in 23 languages, is composed of a wide range of tailor-made applications to match your exact requirements. Our focus on ergonomics and ease-of-use ensure rapid user adoption and great satisfaction. Synertrade Accelerate is a cloud-based platform that is flexible and customizable in order to match your business requirements. Synertrade Accelerate integrates smoothly with your legacy systems whatever your ERP and business tools are. Structure every step of your sourcing process in the following ways: Identify the right suppliers, plan, execute and analyze your tenders, organize complex online negotiations, and manage your contracts. 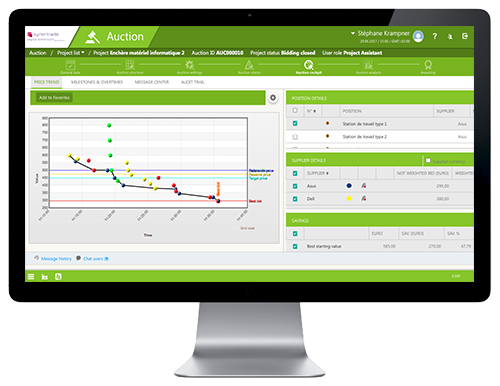 your procurement process for better control. 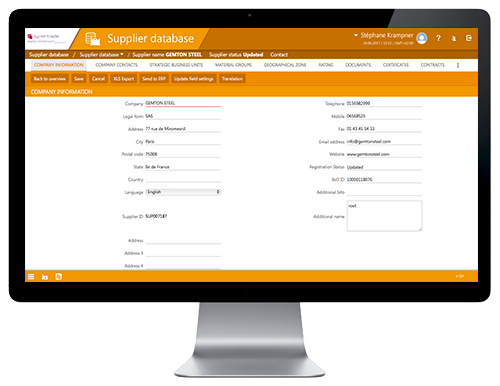 Monitor each stage of the supply chain in the following ways: Import your supplier catalogues, manage purchase requisitions, create and approve purchase orders, manage goods delivery and reception, verify invoices and proceed with payment. and reduce risks for better collaboration. Develop a partnership with your suppliers in the following ways: Get a complete view of their data, evaluate risk and performance level, set compliance requirements, communicate easily, follow up improvements, and collaborate better. 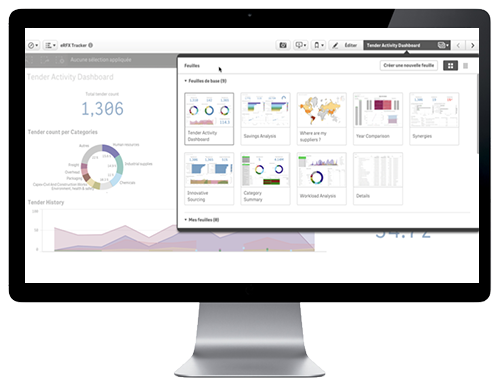 analyze your information to improve your procurement performance. Construct your procurement “Control Tower” in the following ways: Collect and clean your data from heterogeneous sources, capitalize on purchase orders and invoice information, reduce processing time, build suitable dashboards and take the right decisions. 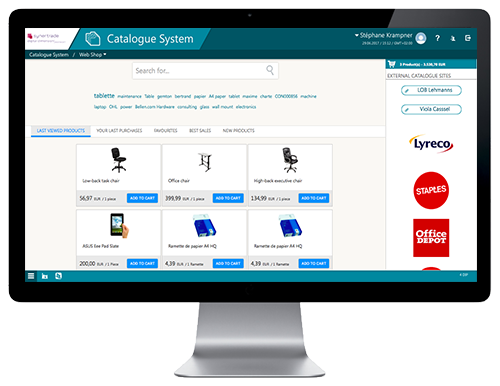 With SynerMobile, access your business information in real-time while you visit your suppliers and approve or reject purchasing orders when you are out of the office. Available on the main mobile OS, it is the best operational solution because you have access to all your suppliers, contracts information and approvals directly in your pocket. You can fill in and consult SRM evaluation or RFX scoring questionnaires, create reports and graphs to gain a clear view regarding your KPIs and exchange information with your colleagues on the forum page. SynerMobile enables you to be mobile and connected whenever you need it.